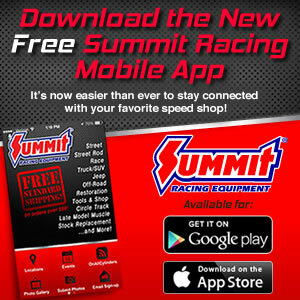 With the recent announcement made by the ownership group at GALOT Motorsports Park that the facility will not open in 2014, the International Hot Rod Association has rescheduled the Summit Racing Equipment Pro-Am Tour presented by AMSOIL event that was originally scheduled to take place at the track in September. Darlington Dragway will host the rescheduled event the weekend of August 29-31, acting as a Wild Card event for racers in both Division 2 and Division 9. The already scheduled double race weekend will now welcome racers from both divisions as the famed track plays host to the 2014 Summit Pro-Am Tour season finale. The IHRA will have additional information on this event and the Division 9 Summit Pro-Am Tour event at Mooresville Dragway later this week. Check back with www.ihra.com for more details.